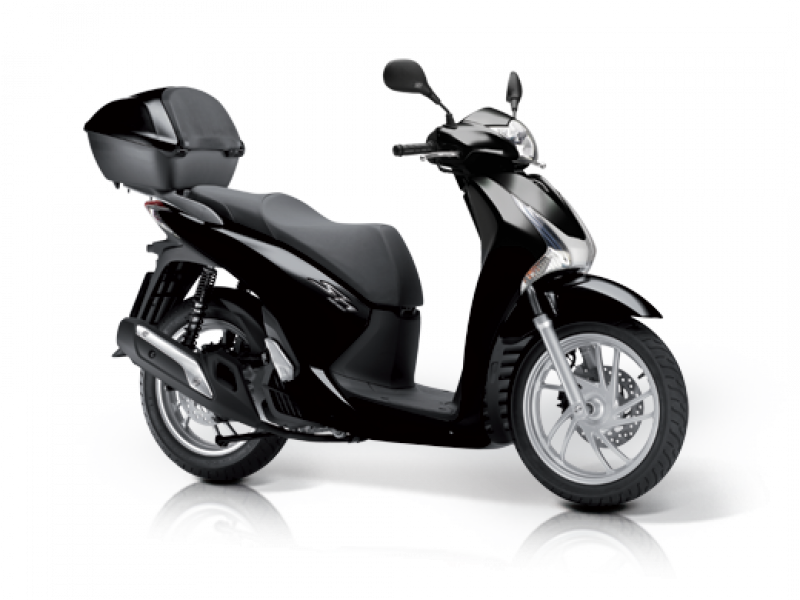 The overwhelmingly popular SH125i offers unrivalled practicality, comfort and safety. 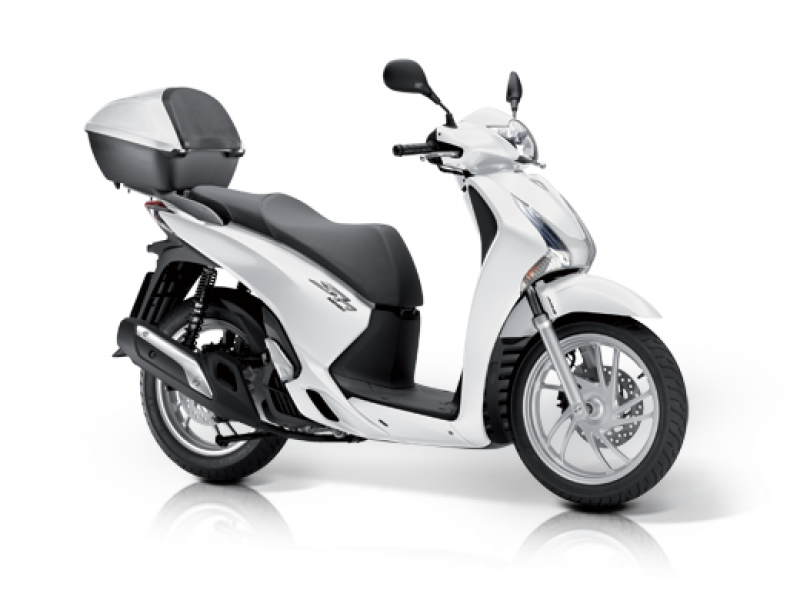 With a low seat height, generous legroom and a colour matched top box fitted as standard, the SH125i is the ultimate feel-good transport, and the best loved scooter across Europe. At the heart of the new SH125i is its brand new engine known as 'eSP' (enhanced Smart Power); built from the ground up with low-friction technology, and featuring Idling-Stop, it delivers an incredible 25% more fuel efficiency in direct comparison to the previous model (133.9mpg). Re-programmed PGM-FI fuel injection and improved combustion also provide plenty of real-world power and torque, in the rev-range most used in the cut-and-thrust of urban riding. 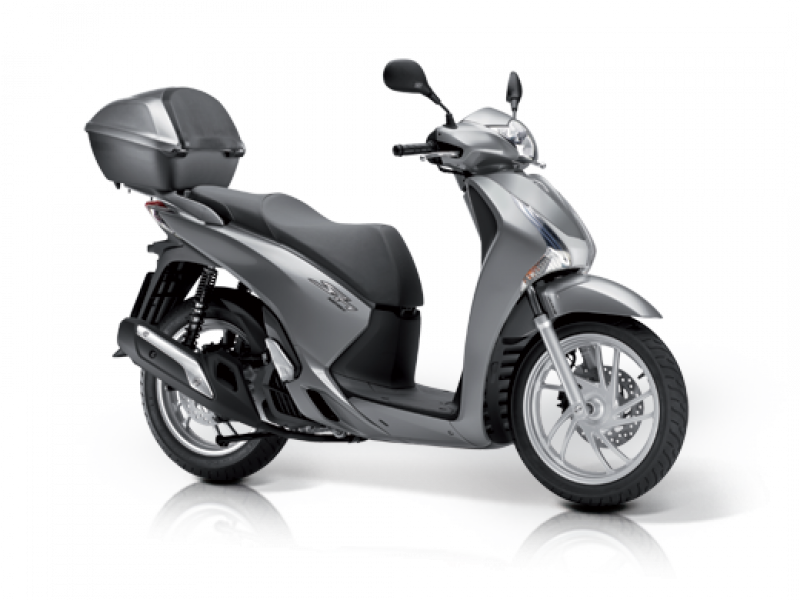 A completely revised chassis - with trademark 16-inch wheels - delivers enhanced handling and stability with Honda's Combined-ABS as standard. Fresh off the drawing board, the SH125i bodywork possesses a strong, and highly individual, personality - yet is still slim enough to wriggle through the tightest of traffic - and will now store a full-face helmet under the seat. Top box included as standard. VPL Terms and Conditions: New retail SH125i ABS 12YM orders from 01 January 2018 to 31 March 2018 and registered by 31 March 2018. Subject to model and colour availability. Representative Example based on 6.9% VPL; Offers applicable at participating dealers and are at the promoter's absolute discretion. Indemnities may be required in certain circumstances. Finance is only available to persons aged 18 or over, subject to status. All figures are correct at time of publication but may be subject to change. Honda Franchise Dealers are credit brokers, not lenders. Credit provided by Honda Finance Europe Plc. Cain Road, Bracknell, Berkshire RG12 1HL. Honda Financial Services is a trading name of Honda Finance Europe Plc. a company registered at Companies House No 03289418. Honda Finance Europe Plc. is authorised and regulated by the Financial Conduct Authority, Financial Services Register number 312541. PCP Terms and Conditions: New retail SH125 18YM orders from 01 April 2019 to 31 July 2019 and registered by 31 July 2019. Subject to model and colour availability. Offers applicable at participating dealers and are at the promoter's absolute discretion (excluding Channel Islands). Representative example based on years 6.9%% PCP. Excess mileage rate applies. You do not have to pay the Final Payment if you return the bike at the end of the agreement and you have paid all other amounts due, the bike is in good condition and has been serviced in accordance with the Honda service book and the maximum annual mileage of 4,000 has not been exceeded. Excess mileage rate applies should this be exceeded. Indemnities may be required in certain circumstances. Finance is only available to persons aged 18 or over, subject to status. All figures are correct at time of publication but may be subject to change. Honda Franchise Dealers are credit brokers, not lenders. Credit provided by Honda Finance Europe Plc. Cain Road, Bracknell, Berkshire RG12 1HL. Honda Financial Services is a trading name of Honda Finance Europe Plc. a company registered at Companies House No 03289418. Honda Finance Europe plc is authorised and regulated by the Financial Conduct Authority, Financial Services Register number 312541.